Please note that we exhibit at many smaller, regional tradeshows that we don’t list. If you don’t see a show listed that you are attending, please call us to confirm! Eastec Show May 14th – 16th, 2019. September 30 – October 3, 2019.
for Fabtech November 11 – 14, 2019. IMTS iSpy Interview with Acieta and Laser Marking Technologies on the last day of IMTS 2014. 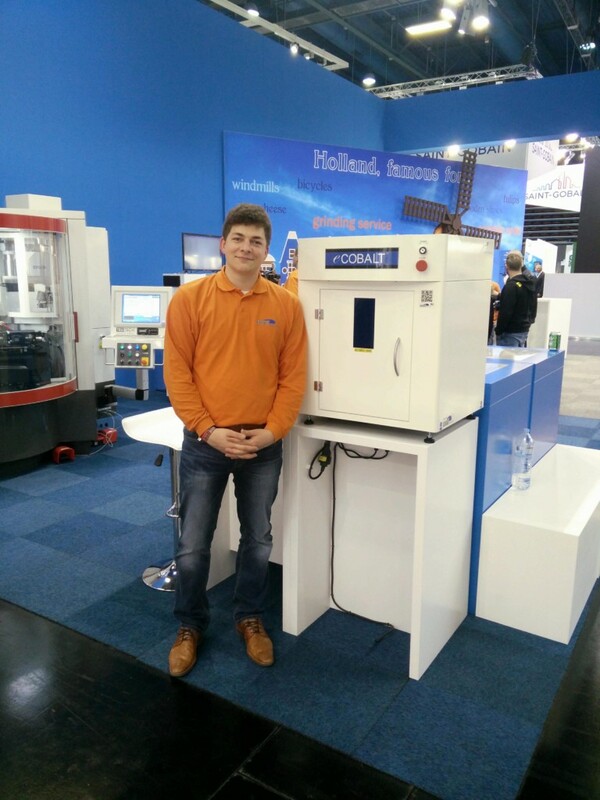 Laser Marking Technologies’ Technical Sales Representative Yannik Hüpel, from Braunschweig, Germany, working with LMT distributor GSE Technology from Deurne, Netherlands at the 2018 GrindTec Show in Augsburg, Germany.